Oahu is the third largest island of the Hawaiian Islands. This island offers a unique blend of urban and rural atmosphere. On Oahu, there is Honolulu, largest city and capital of the state of Hawaii. Here, visitors can shop, dine, and explore from morning till night in places like Pearl Harbor, Polynesian Cultural Center, and Sea Life Park. Outside the city, the rural Oahu offers Waikiki Beach that famous in the world, dramatic mountains, and the remnants of past volcanic. Many people visiting Oahu for water sports to Hanuama Bay, the famous snorkeling destination in the world. Or, go to Kualoa Ranch to Hawaii Waters Adventure Park. Different from Oahu which is a mixture of urban and rural, Maui is more synonymous with beauty and luxury. Maui is flooded with world-class beach resort, especially at the southern tip of the island, and offers a relaxing beach vacation and honeymoon throughout the year. In the southern part there is Wailea, an area known for its sports and activities, especially snorkeling, diving, and watching wildlife. From here, you can ride a boat to explore the underwater Maui. Maui volcano is an icon. The island was originally formed by six volcanoes and is home to Haleakala, the largest active volcano in the world today. 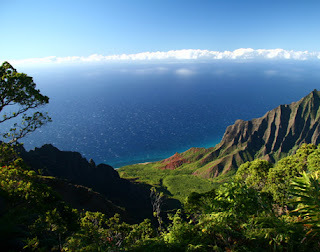 Unlike Oahu and Maui, Kauai is known as the 'Garden Island'. 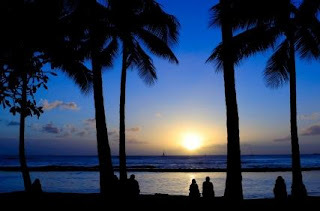 Although it is home to Mount Wai'ale'ale, the wettest place on earth, Kauai is a favorite honeymoon destination. 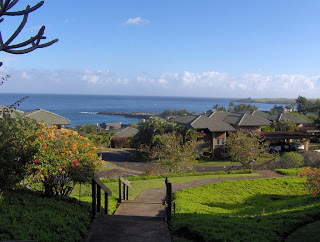 If you are looking for a quiet and secluded and romantic, Kauai's right for you. Kauai is surrounded by sandy coastline is longer than the other Hawaiian islands, which is 110 miles, and is home to Alaka'i, the world's largest swamp. When the honeymoon, you can explore Waimea is nicknamed "The Grand Canyon of the Pacific '.